Recently, a non-Southerner suggested I do a post about mayonnaise. 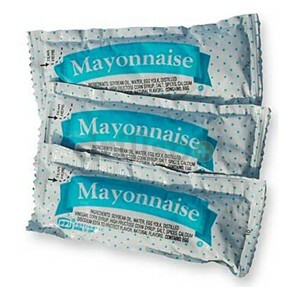 Hmm…I wondered…do Southerners have a particular fondness for mayonnaise? Well, it IS a key ingredient in deviled eggs and pimento cheese. 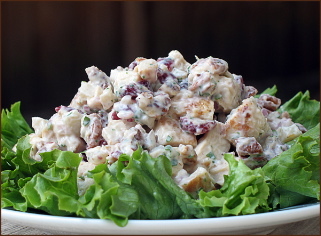 And you can’t make tuna/chicken/potato/egg/macaroni “salad” without a heaping helping of it. Even so, I wouldn’t have thought that Southerners use more than our share. I mean, people in Seattle eat mayo…oh, wait! Actually, folks here prefer “aioli.” “What’s aioli?” Y’all might ask (as I did when I first encountered it on a menu). Aioli is mayonnaise blended with a little garlic (or occasionally basil). It’s fancy and flavorful. 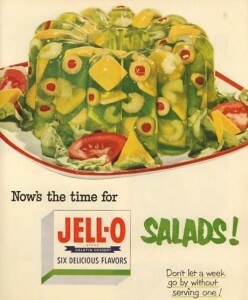 But, still, it’s mayonnaise. Now that I think about it, Southerners do seem to find more uses for mayonnaise than they do around here. For instance, you wouldn’t make a banana sandwich with aioli. You’re unlikely to find a big glob of it adorning fresh-from-the-garden tomatoes. And you certainly wouldn’t add it to biscuits or cake. I should note that I, myself, have never used mayonnaise in baked goods. Or lard, for that matter. I say, "Whisk it!" "Whisk it good!" One of my oldest and dearest friends from Mississippi HATES mayonnaise with the passion that others reserve for mass murderers or actors who butcher the Southern accent. Everybody knows not to offer Sandy food with even the slightest hint of mayonnaise, or else you’ll be treated to a diatribe on the disgusting nature of the substance. Well, folks, she didn’t notice the packets, and I’d forgotten all about them until several weeks later when she was cleaning out her purse. She pulled all manner of loot from the depths of her cavernous bag: lipstick, receipts, pens, etc. And then she pulled out…a mayonnaise packet. And another. And another. I was too busy cackling to fess up. But, as I have mentioned, I have no poker face-making skills, so she found me out. “WHY would you put expletive expletive MAYONNAISE in my purse?? It could have expletive expletive EX-PLO-DED, and I’d have to kick your expletive expletive expletive!” There might have been a few more expletives. I can’t exactly remember. Would I do it again? Probably not. But I still consider Operation Mayonnaise Packet one of the best of the worst things I’ve done. Of course, I would have been horrified if one of the packets had actually leaked in her bag. Most likely, I wouldn’t have lived to tell the tale. Photo credits: “That amazing ingredient” courtesy of Months of Edible Celebrations blog where you’ll find more info about that amazing ingredient. Is mayonnaise a staple ingredient in your kitchen? Have you ever made it yourself? Is it worth the bother?